Our inaugural classes were held at Emma's Daisyhill Farm in Glenelg, Maryland. We plan to return there next spring! 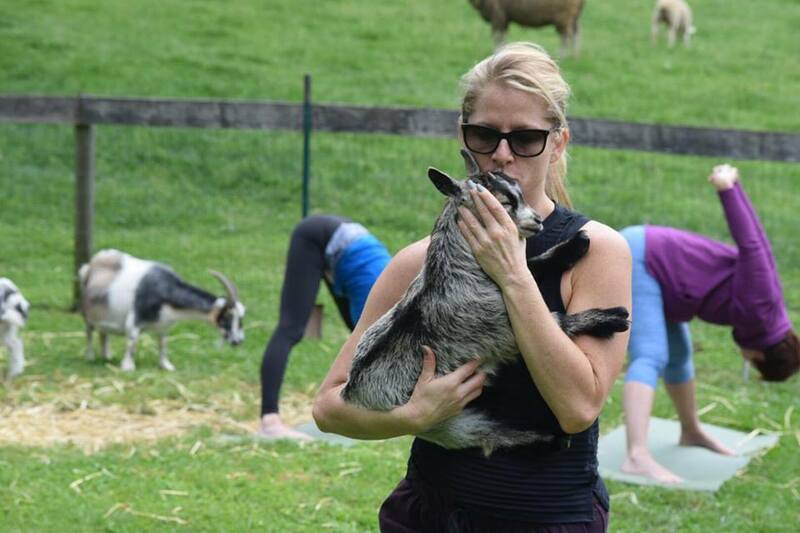 YOGA WITH GOATS - MARYLAND CLASSES starting AGAIN IN APRIL 2018!! Molly Dearstine approached Janice about holding yoga classes with the pygmy goats on her farm. It seemed like a fun idea, so it happened. Now, we have a huge waitlist for classes, and we have created amazing shirt art by Mollie Brower Design and multiple farm partnerships. We have a whole team helping to make this yoga with goats thing really special, and we hope you can join us for a class soon. To stay in the information loop, please follow us on Facebook (Yoga with Goats -Maryland) and on Instagram (maryland_goat_yoga).